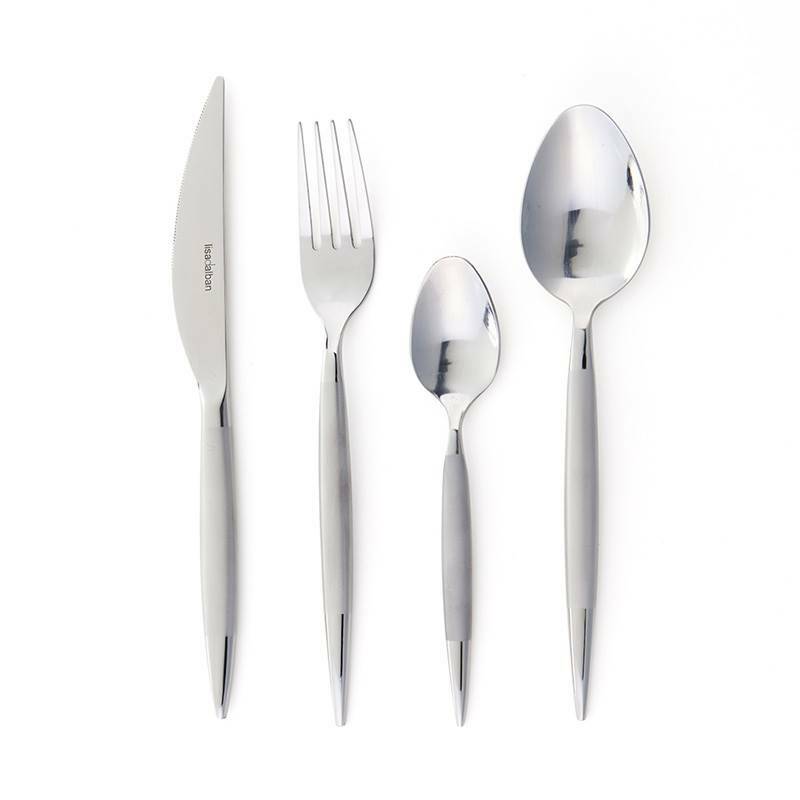 This design cutlery set has been created to lay a table for 4 guests. 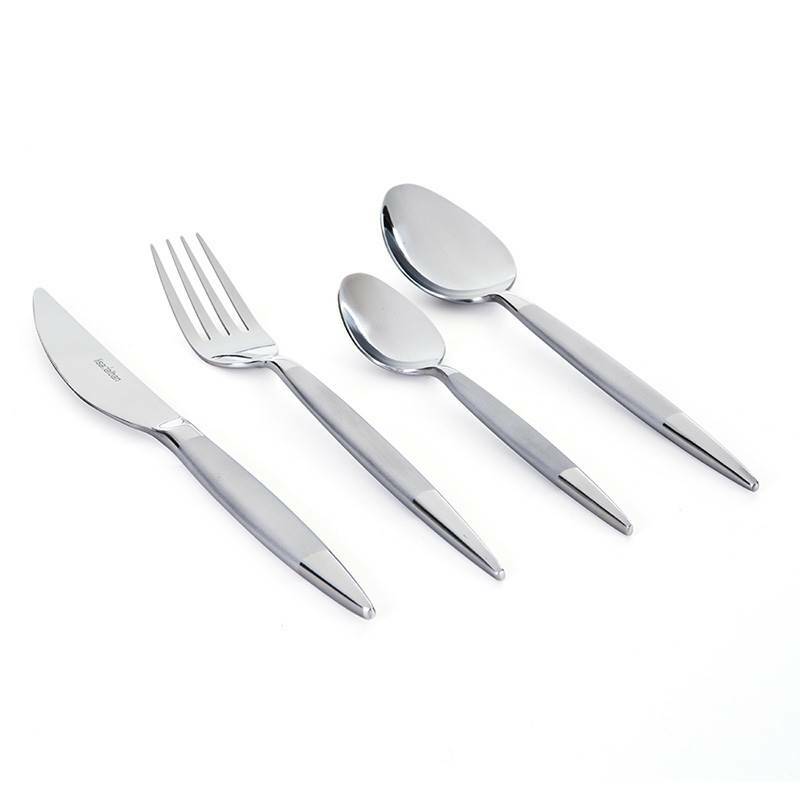 The slender line of this flatware set offers an elegant and contemporary look that plays on a audacious matt-shiny effect. The top of the handles has a polish mirror design and their handles a satin finish that ensures a nice and pleasant handling. 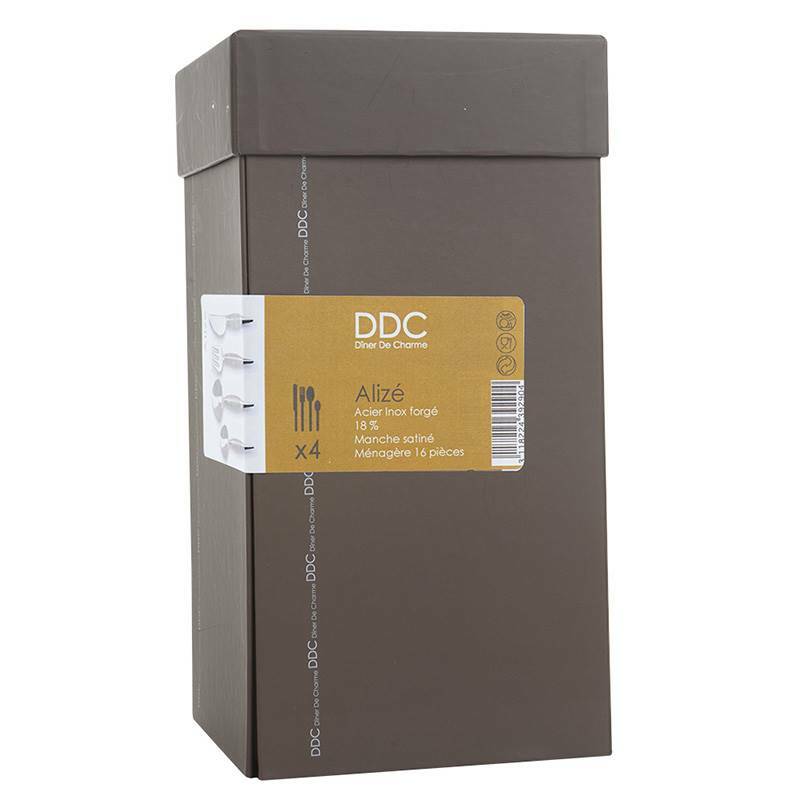 This flatware signed TB Groupe is manufactured in a balanced way so that they remain light but ensure a flawless quality. The top of each piece of cutlery is designed in forged high-end steel associated to a lighter ergonomic handle. 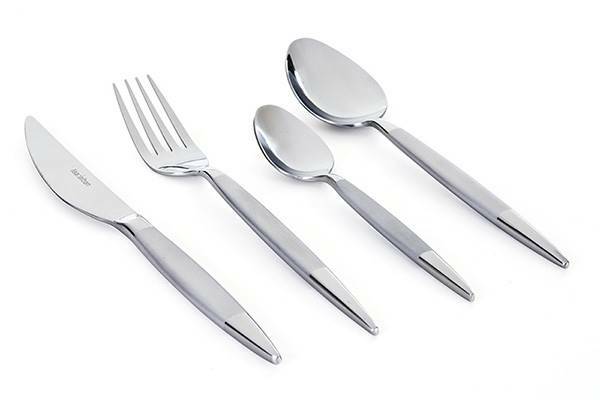 The protruding shape of the handles offers this modern design cutlery set a natural and particularly comfortable grip.